Welcome to “A La Belle Pique” Sunny Buick's private tattoo studio in the 11ème arrondissent of Paris, France. Here is your host, the multi-talented artist from San Francisco, California. Follow her to her petite jewelery box atelier. She has created this small show case for her paintings and a cosy spot for your custom tattoo projects. Sunny has been tattooing for 26 years and is known for listening to the client, a rigorous hygiene and bright color saturated « skin illustrations ». She also excells in « black tradtional » and « sacred tattoos », adding magic to each kustom creation. Luminous and clean this address is one of the best kept secrets in Paris. You’ll take the time for a cup of tea, chat, discuss art and life and who knows maybe a little music? You can come by just to see,or start your tattoo consultation, uniquely by appointment. Have a great day! Bienvenue A La Belle Pique le studio privé de tatouage de Sunny Buick dans le 11ème arrondissement de Paris. Je vous présente votre hôtesse, artiste pluridisciplinaire originaire de San Francisco, Californie. Suivez-là dans son petit bijou d'atelier. Elle a créé ce petit lieu pour y exposer ses peintures et pour y recevoir dans une atmosphère détendue ses clients afin d'y développer leurs projets de tatouages. Sunny tatoue depuis 26 ans et est reconnue pour être à l'écoute de ses clients, pour ses qualités rigoureuses en matière d'hygiène et pour ses illustrations très colorées dessinées sur la peau. Elle excelle également dans les tatouages noirs traditionnels et les tatouages sâcrés, ajoutant de la magie aux créations originales voulues par ses clients. Lumineuse et propre, cette adresse est l'un des secrets les mieux gardés de Paris. Vous prendrez bien le temps pour une discussion sur l'art et la vie en général autour d'une tasse de thé et même pourquoi pas un peu de musique en fond sonore? N'hésitez pas à passer juste par curiosité, ou pour une consultation en vue d'un tatouage (mais toujours sur rendez-vous). Bonne journée. 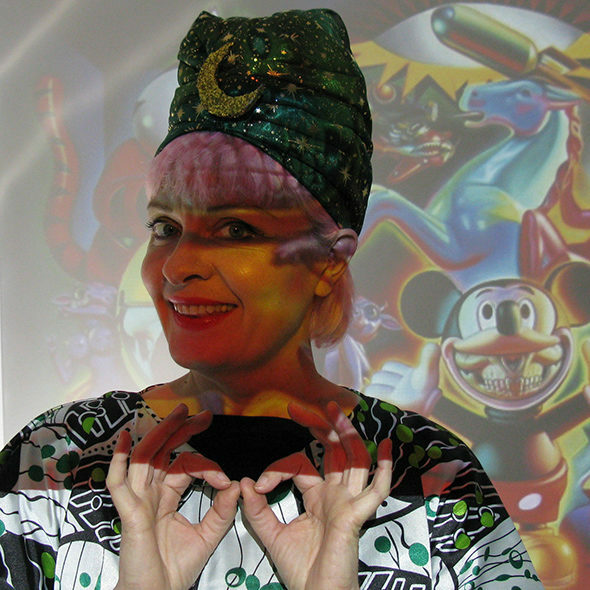 These are the three characters in my performance art/lecture in Spain at The Wild Weekend in Majorca, Spain. For those who were at the first Las Vegas Grind you may remember seeing a few Sunny Buick paintings and at Las Vegas Grind 2 the group art show she organised for us. Sunny Buick was born in British Columbia, Canada and grew up all over Northern California, finally ending up in San Francisco in her teenage years. In 1986 while attending a high school especially for artists she started to hang out in the milieu of San Francisco tattooing, and began to tattoo professionally in 1992. She served a formal apprenticeship with Henry Goldfield for 6 years. All of her work is heavily influenced by tattoo imagery, a symbolic language in her art.In addition to tattooing Sunny is an accomplished painter and has exposed her work in galleries and museums in the US, Europe and Australia. Sunny was involved in the West Coast Low Brow and Tiki art movements. 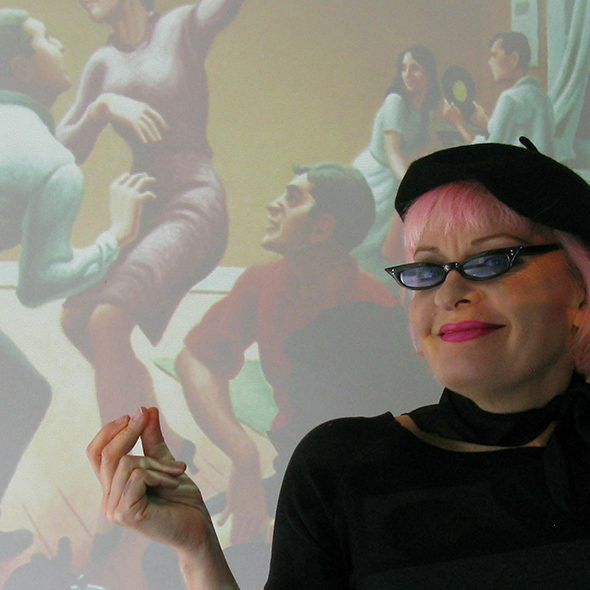 She has appeared in several art books like Vicious, Delicious, Abitious and Beatsville, and many others. In San Francisco she participated in the Mexican community ritual of making Day of the Dead installations, in museums and galleries including the Yerba Buena Center for the Arts. She also organized a gigantic art show and catalog called SciFi/Western, in San Francisco with over 100 artists from all over the world. She arrived in Paris in 2003, where she opened her own private tattoo shop in 2009. She belongs to a Parisian art collective called Gang of Witches. 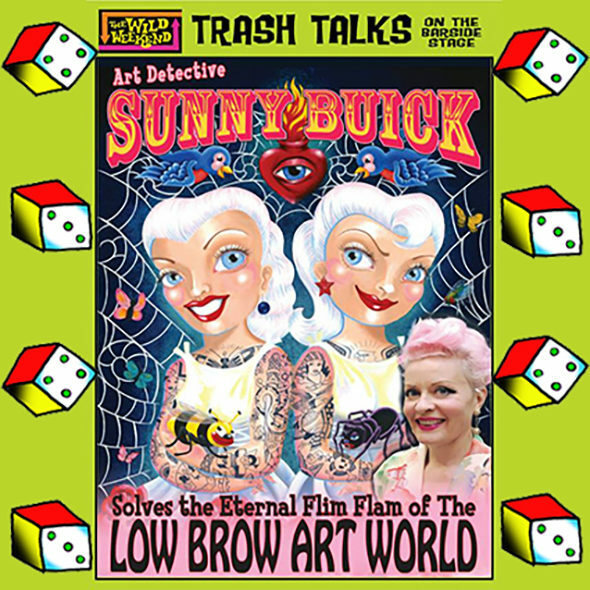 Sunny will present a « Eye Candy Bulimia » a spoken word/performance piece about Tattoos/Lowbrow art. 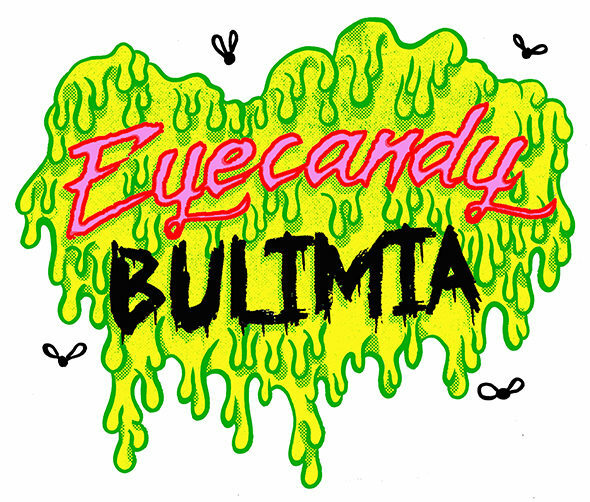 Cannibal Bonbon is the title of her artistic manifesto, therefore « Eye Candy Bulimia » will be an extension of how she sees herself within the art community in which she exherts her trade. Since her apprenticeship with Henry Goldfield where she learned tattooing and also the art of storytelling, Sunny has been developing her own skills weaving yarns. 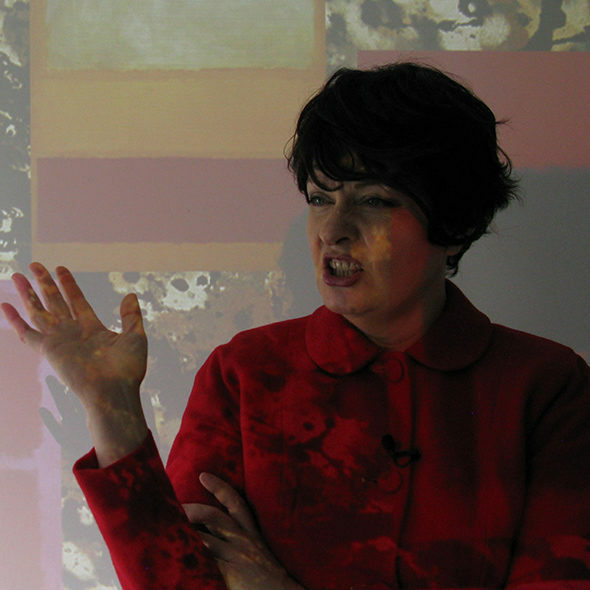 She has prepared a personal narrative that is both hypnotic and instructive, and that she hopes you will find amusing.